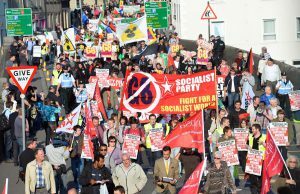 The Socialist Party is an anti-sectarian party which fights for the interests of the 99% – the working class, young people and the oppressed – against the super-rich and their political representatives. We oppose the capitalist system which breeds poverty, inequality, war and environmental destruction. We stand for a socialist future, where society’s wealth and resources are taken into public ownership and used in a planned and democratic way to meet the needs of all. We believe that people power is the most effective tool for defending and extending our rights. We have a long and proud history of campaigning alongside workers and communities in struggle. For example, we played a leading role in building support for mass non-payment of water charges, which derailed plans to introduce this double tax in Northern Ireland. 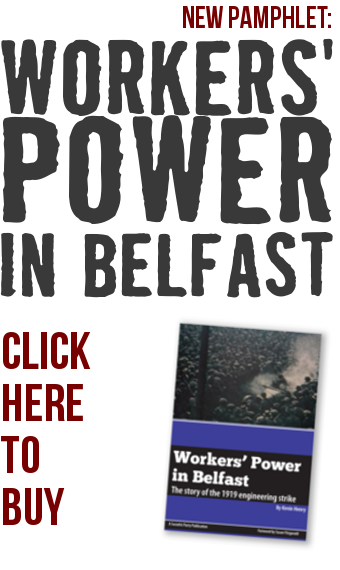 The trade union movement – representing almost 250,000 workers from all backgrounds in Northern Ireland – has huge potential power, not just in resisting austerity and fighting for workers’ rights, but in challenging sectarianism and all forms of oppression. Our members campaign to reclaim the trade unions as fighting, democratic bodies of the working class. Young people have a vital role in the struggle to change society. We oppose discrimination and harassment against young people. 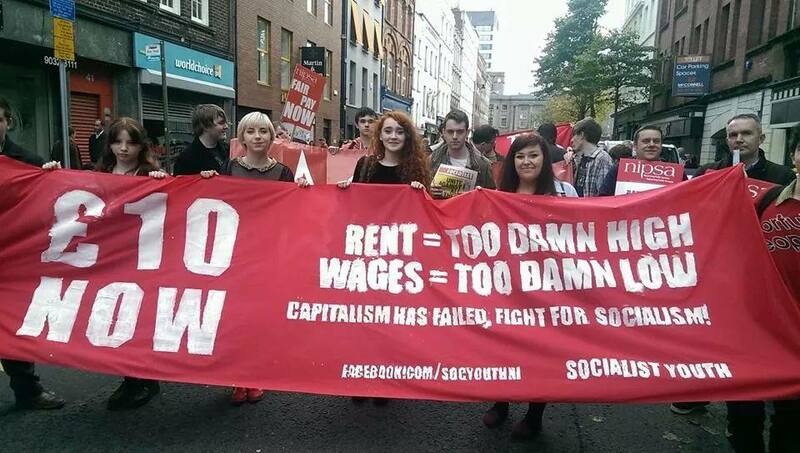 Our youth wing – Socialist Youth – has been central to campaigns against education cuts, unemployment, war and environmental destruction. We are steadfastly opposed to sexism, racism, homophobia and transphobia. We support full LGBT+ equality and a woman’s right to choose and our members have taken bold initiatives in the fight for marriage equality and against archaic abortion laws. We stand for full separation of church and state and an integrated, secular and comprehensive education system. Sectarianism is a tool used by the pro-capitalist establishment to divide working class people. Throughout the ‘Troubles’ and today, we have opposed all paramilitarism and state repression and our members have helped mobilise workers against sectarian attacks and intimidation. We believe there can be no lasting resolution to the conflict here on the basis of the poverty-ridden and divisive capitalist system. We fight to unite ordinary people around their common interests and break down the barriers between communities, laying the basis for a real peace process where solutions can be found on the basis of solidarity, compromise and mutual respect and without the coercion of any community. We support the building of a mass, cross-community party of the working class to assist in this process. We work closely with the Socialist Party in the South – where three of our members are elected as members of parliament for Solidarity – and with our sister parties in Scotland, England and Wales. We are part of the Committee for a Workers’ International, which unites socialists in over 40 countries and on every continent. The fight against capitalism is international and workers and the oppressed must stand in solidarity in our shared struggles.